Prochima srl, was established in Italy in 1960, deriving a thirty years period experience from the previous small company. It was one of the first italian manufacturers of resins, used in various fields like composites, nautical science, prototypes, building industry, fine arts and repair. 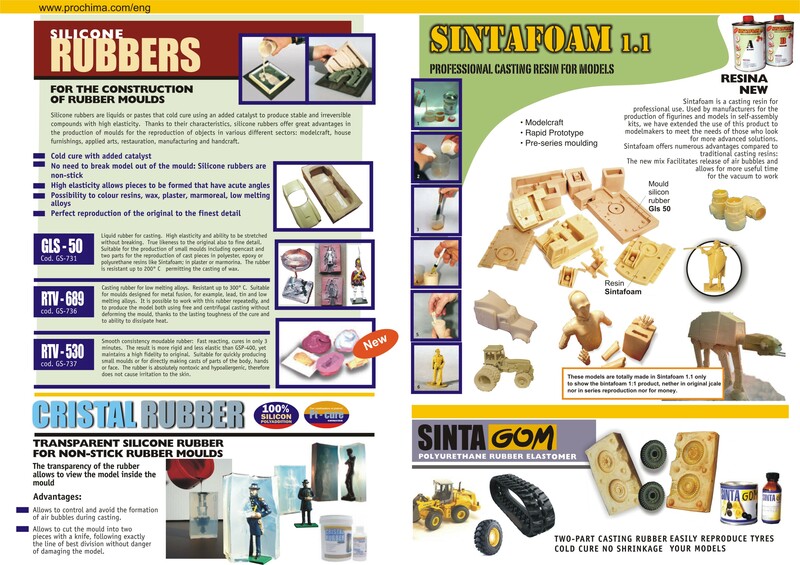 The long experience, the continuous renewal and testing had led to the creation of new materials which placed Prochima far advanced in this field. The hight quality standards are confirmed by a Quality System, certified according to the current regulations. 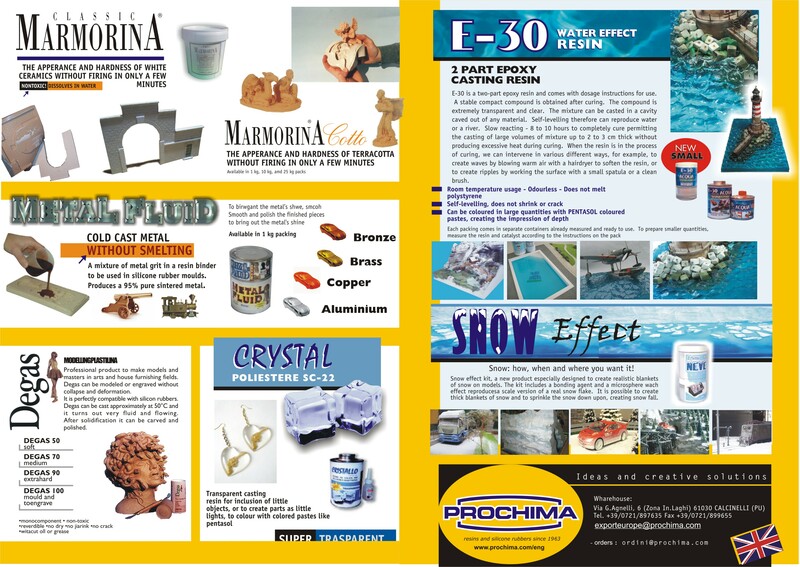 Prochima is therefore leading company in Italy in the production and marketing of model materials, such as silicon rubbers, resins, dyes, etc, and with the purpose of increasing its diffusion is now searching sales channels in Europe, offering the distribution of the trademark in sole right.